Spring has arrived in Brisbane! Now is the time when many of us get our green thumbs out and get cracking in the garden. However, sometimes after a log day in the garden, the body hurts and all our old aches and pains flare up. Here are some common types of pain experienced from gardening, and what you can do to reduce it. 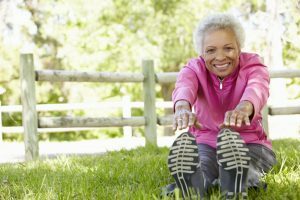 Muscle aches and pains: when doing any moderately physical activity, especially if it has been a while, some muscle groups can increase in tone, fatigue, and ache. It’s most often a dull deep ache along the muscle, with occasional achy referral pain away from the area. With gardening, this pain is commonly seen in the lower back and legs from bending and lifting. 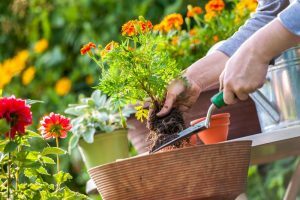 Arthritis and old injuries flaring up: if you have any old joint problems, they can flare up with gardening. Kneeling and squatting can irritate the knees, digging/pruning can flare up hands, wrists or shoulders. Arthritis pain is often right in the affected joint, can be quite sharp and deep in nature. It can cause some swelling around the joint, and aching the night after. Overuse injuries like RSI and tendonitis: if you’re a keen gardener, or it’s just one of many activities you do that put pressure on certain joints over and over, you can experience an overuse injury like tennis elbow, rotator cuff tendinopathy or bursitis. The tell-tale signs and symptoms are pain when you first move the area, but dissipates when the joint “warms up”; pain that started like that, but now carries on throughout the activity. The pain is quite sharp and occurs with movement. Muscle tone and pain: massage and trigger point therapy (whether through hands or dry needling) can reduce muscle tone and pain. Facilitated stretching can restore good muscle tone and length, allowing you to keep up the gardening and reducing your chance of overuse injuries. Joint management: while we cannot “fix” arthritis, we can help you manage the pain, and reduce the continued damage on the affected joint. We use pain management techniques such as soft tissue massage, dry needling, stretch therapy, and gentle joint mobilisations. These techniques can create more space in the joint (therefore less pain and better movement), as well as reduce swelling and pain. 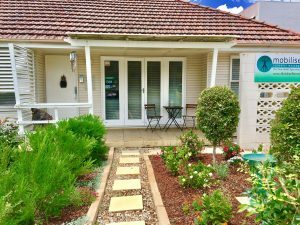 Rehab/Maintenance: while remedial massage treatments will get you a long way towards a pain free gardening day, we will also create a rehab and maintenance plan for you to take home and do for yourself. This may include stretching, targeted exercise, pain management techniques, and ergonomic solutions to help you manage gardening without being in pain. See below for some general ideas to help you at home. Before you start your day in the garden, spend 15mins stretching the muscles needed for your work. These may include your glutes (bottom), hamstrings and quads (front and back of thighs), calves and shoulders. Each stretch should be uncomfortable, but not painful, and should last about 20 seconds. For tips on good stretches for you, come and see one of our Myotherapists for a specific stretch plan for you. Keeping up the water can help generally ease aches and pains. It will reduce fatigue, and reduce cramping of muscles. Water is the transport medium for all the good things your muscles need, and it helps remove the waste products your muscles produce with activity. Keep a water bottle nearby and use it frequently. Try not to do one thing all day. The human body was designed for dynamic movements, not repetitive ones. To avoid overusing/injuring an area, try to plan a day where you do a number of different tasks, rather than the same thing all day. Depending on your own energy levels, try and schedule regular breaks. These may be as frequent as every half hour, but try not to go longer than two hours without a break. This allows your body a short period of rest, and time for you to hydrate. Listen to your body! Pain is a signal used by your nervous system to alert you about what is happening in your body. If you are unable to stop the pain with rest, stretching or changing the activity, it’s time to stop for the day. 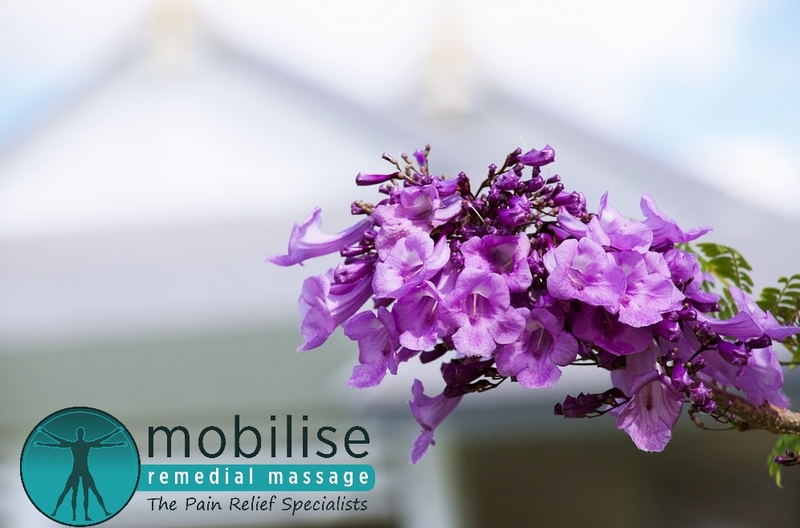 If the pain hangs around, or re-occurs next time you garden, then come in and see one of our Myotherapists for a treatment and home plan to get you going again – pain free. For tips on stretching, and pain management, see the Mobilise website for more information. If you’d like to book an appointment with one of our knowledgeable therapists, give us a call on 0473 090 442, or book online now!